Sabine Weiss (b.1924, Switzerland) is the last representative of the French humanist movement in photography. Throughout her long career she has documented everyday life through reportage, topical events and journeys across Europe and the US during the post-war era for illustrated press including Paris Match, the New York Times, Life, Picture Post and Die Woche. Her personal body of work, taken primarily in her neighbourhood of Porte de Saint-Cloud in Paris, further demonstrates an interest in the emotive value of daily life through sympathetic and optimistic depictions of simple moments of beauty. Weiss published her first photo report at the age of 21 in 1945 and at 28 took part in the exhibition Post-War European Photography at the MoMA New York. At the same time, Weiss joined the Rapho agency, which included fellow humanist photographers Edouard Boubat, Robert Doisneau, Jeanine Niepce and Willy Ronis, among others. In 1954, the Art Institute of Chicago devoted a solo exhibition to her, which toured the USA. The following year (1955), three of her pictures featured in the MoMA New York’s pivotal exhibition The Family of Man. She also worked for the French edition of Vogue throughout the 1950s, producing foreign reports and advertisements for leading communication agencies. 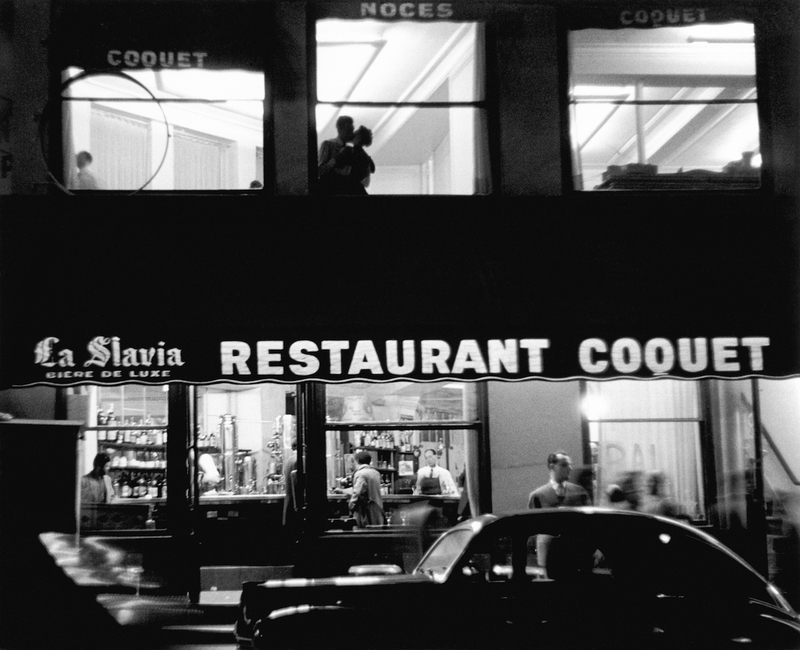 More recently, Sabine Weiss’s incredible oeuvre has been reviewed in a major solo exhibition at the Jeu de Paume, Paris (2016) and is on display at the Centre Pompidou in Paris from 20 June to 15 October 2018 in Sabine Weiss: Les Villes, La Rue, L’Autre. Signed modern silver gelatin prints available from €2,400 + vat. For more information email: printsales@tpg.org.uk or phone us on 0207 087 9320.